Much like Razer did with Project Fiona at the 2012 Consumer Electronics Show, the company is on hand in Las Vegas this year to gauge user interest for a completely new project known as Christine. What is Project Christine, you ask? Well, it’s unlike anything you’ve ever seen, I can promise you that. At first glance, Project Christine doesn’t look all that much different from Thermaltake’s groundbreaking Level 10 chassis from a few years back. 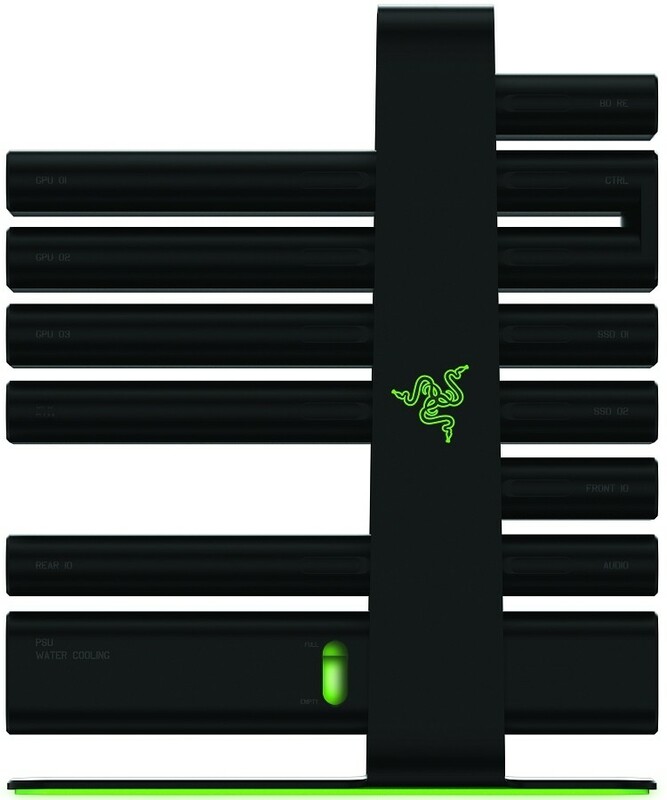 But dig deeper and you soon realize that Razer’s latest creation is much more than a PC case. Indeed, it’s a fully modular gaming computer that can be customized without any prior technical knowledge. The platform consists of self-contained “modules” for each hardware component. Need more storage? Just add another storage module. Want more gaming horsepower? An extra graphics card module (or two) will certainly boost your frame rates. Everything is plug-and-play using the PCI-Express architecture which automatically syncs components to the system. Each sealed module is entirely self-contained and features noise isolation and active liquid cooling using mineral oil. Not only do you get a quiet machine, but one that can stay cool under pressure without the hassle of setting up a custom water cooling loop. Razer said they are even considering a subscription model that would allow users to swap out modules for newer hardware as it becomes available. This would prevent waste and ensure gamers have the latest and greatest hardware on tap at all times. Project Christine is just that at this point – a project. If the system generates enough buzz at CES, CEO Min-Liang Tan say it could go from concept to reality just as Project Fiona ultimately became the Razer Edge.